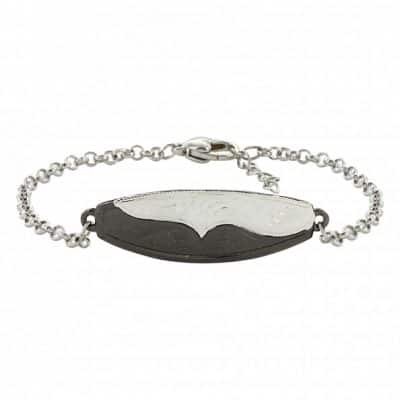 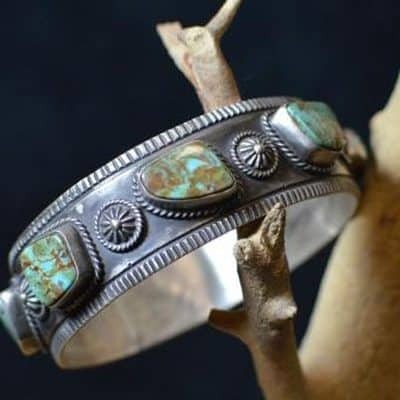 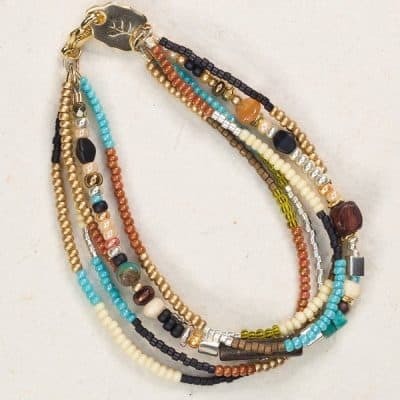 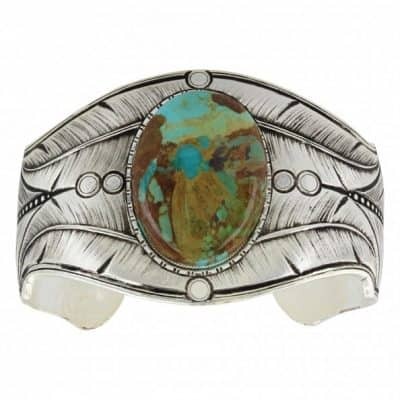 This thick antiqued fine silver plated bracelet has a beautiful large turquoise cabochon that is accented with etched feather details. 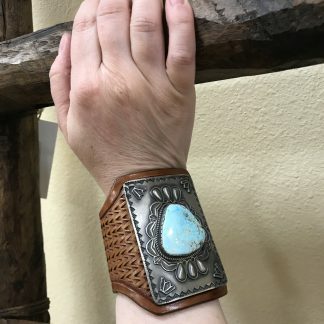 This cuff is thick and great for every day wear or perfect for that night out on the town. 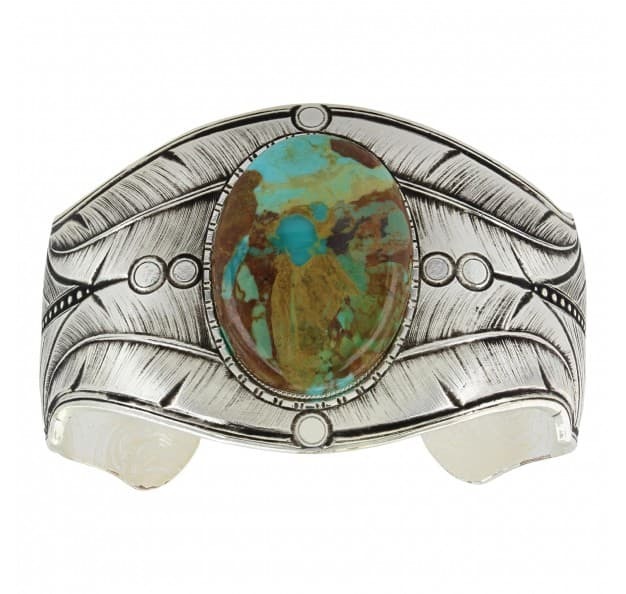 This piece comes with Montana Silversmiths Limited Lifetime Warranty.